The Viper Mark II was designed and built during the Cardassian war in response to the creation of the Centurion Bio Mechanical Raider. The Viper Mark II was designed to use the latest technology and be more then a match for its Cardassian counterpart. The Viper Mark II was designed to take the place of star fleets aging engagement fighters. The Viper Mark II was partially based off existing schematics for the Viper Mark I, but with upgraded weaponry. The key advantages of the Viper Mark II over its predecessors is the increased torpedo payload to include Transphasic torpedoes, and the inclusion of an energy cannon. 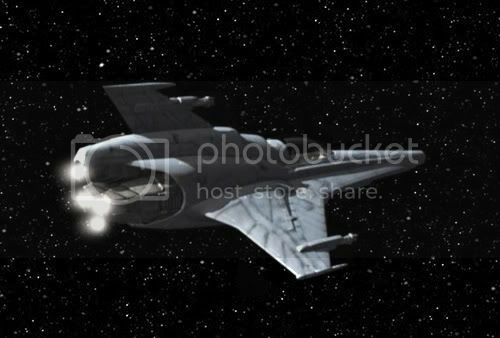 The increased armament allows for a relatively small number of Viper Mark II fighters to be effective even against Galor or keldon class vessels. December 2407: a clear threat emerges from the Cardassian factions with in the federation. Star fleet command orders the development of a new general purpose fighter to meet the threat. 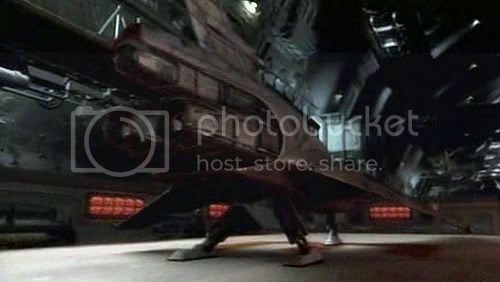 The New Fighter must able to hold their own even against larger Cardassian Vessels as well as being maneuverable enough to engage in fighter to fighter combat. June: The designs for the new fighter are narrowed down to three possible models. The Viper design is selected due to the success of the Viper Mark I prototypes. 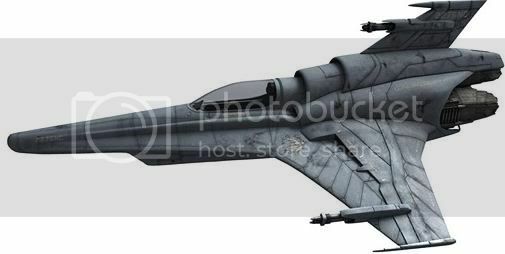 The Design is refined to us a tylium power base as well as an advanced torpedo tube design allowing for tube retraction into the wing. June: A Prototype Viper Mark II space frame is constructed, and fitted with an old impulse engine. Tests revile the thrust to mass ratio will allow for maneuvering beyond anything the design team anticipated. The prototype is taken on five more test flights before it is decommissioned for study. August: A second prototypes Viper Mark II is constructed using a new advanced solium based impulse system. During the Second test flight a test pilot is killed while throttling. All testing is suspended by star fleet R&D. The autopsy of the pilot reviled that The test pilot encountered lethal g-forces during initial acceleration. Testing is resumed with a safety installed to prevent lethal maneuvering. February: Construction begins on a third prototype to be equipped with a functioning tyllium power core. March: Warp field stability tests begin. The initial one nacelle design derived from the Viper Mark I proves extremely efficient on the Viper Mark II. May: Warp Field tests are completed. Well the tyllium generator yields much more power the hull design, and increased weapon power draw limits top cruise speed. July: During a test of the warp field system a prototype when it dropped back to sub-light speed, and exploded just outside of mars, the test pilot managed to eject. All testing was suspended until the cause of the accident could be resolved. September: Star fleet R&D determines the explosion was caused by a leak in the Tyllium storage system. A simple modification was made to the fighter design correcting the flaw. Testing resumed on a new schedule for fighter completion for late November. November: Warp field testing was completed. 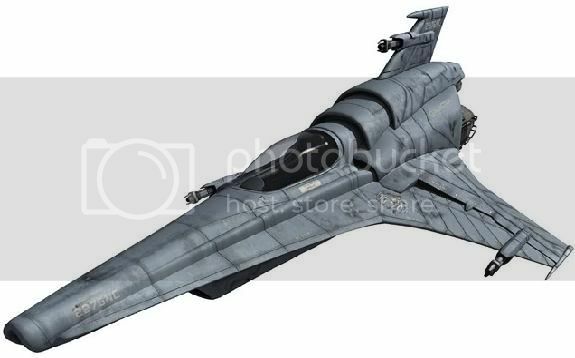 With Design specifications met, the fighter was declared fit for duty, and star fleet placed an order for 220 fighters. 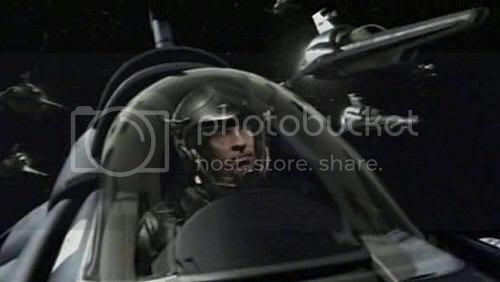 December: Star fleet intelligence receives word of a new Centurion Bio mechanical fighter far beyond the capabilities of the New Viper fighters. The new fighter specifications require even more maneuverability and fire power. January: Increased manoverability was accomplished by reducing the safety protocol in place to prevent lethal g-forces, how ever it meant only the most experienced pilots could fly the Mark II. The fighter was also fit with advanced torpedo tubes capable of firing transphaisic torpedoes. The Modification included a type I energy cannon which gave the fighter a significant advantage in fire power. The New Viper Mark II could be produced as easily as the original version, and Mark IIs already in service could be just as easily modified to meet the new more stringent specifications because of their modular design. Structure: Tritanium/Duranium composite alloy with added Ablative Armor Matrix. Currently, there are 10570 in service. The Federation aims to phase out older fighter models by 2415. The Viper Mark II is capable of operation in atmosphere, and vacuum.